Trolleholm Castle (Trolleholms slott) was originally named Kattesnabbe and later Ericholm. It has been known since 1424, and was a monastic estate in the late Middle Ages. Trolleholm belonged to members of the Thott family (1533-1680) and Trolle family (1680-1806). Frederik Trolle (1693-1770) gave it its present name in 1755. 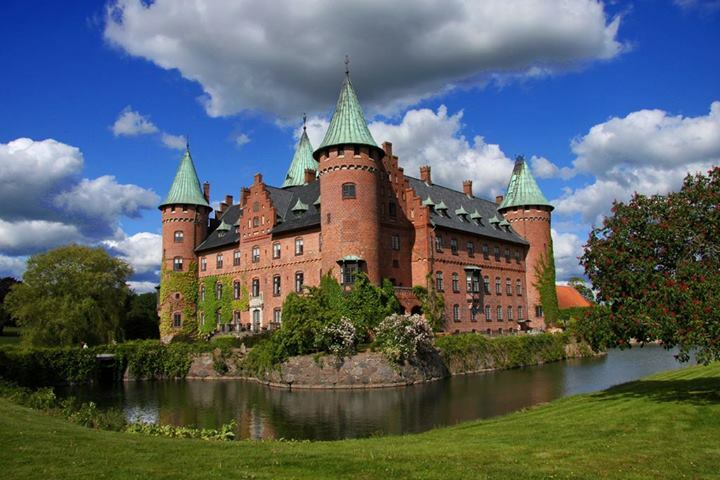 The castle was reconstructed in the 1760s according the design of Carl Hårleman. The present appearance date from the late 19th century, when Trolleholm was renewed in the early Renaissance style. During 1806 was the estate by inheritance to the family, who still owns it. The holder of the estate carry the family name Trolle-Bonde. The estate comprises 110 houses and a total of 62,800 acres (254 km2). There is a very valuable library including 40,000 books. The great garden is open to the public.